(Yakima, WA) – The South Central Workforce Council (Council) launched a new podcast series November 26 addressing topics important to employers and job seekers in South Central Washington. 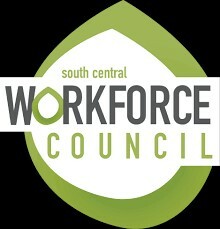 Titled “South Central Works” the podcast is available to listeners free of charge on the Council’s website (http://www.southcentralwdc.com), and is available for free download through Google Play, Spotify, Podbay and blubrry. The following titles are available for streaming on podcast. Stay tuned for more coming every month! The South Central Workforce Council is composed of a volunteer Board of Directors of business professionals and individuals that represent public and government organizations in the four county region of south central Washington (Kittitas, Klickitat, Skamania and Yakima Counties). The Council connects partners and stakeholders in a single network as a way to make efficient use of public dollars and to increase worker readiness for existing and new businesses.